Not a day goes by without scrolling past a “perfect” selfie of Kim Kardashian or a “flawless” photo of Beyoncé whilst checking our Instagram feeds. We’re so used to seeing our favourite stars plastered with makeup, we sometimes forget that underneath it all, they too, are ordinary, normal-looking people. It’s great that makeup muse, Kim Kardashian allows herself to be seen without any makeup on. To be quite frank, the kurvy Kardashian looks a whole lot better makeup free! 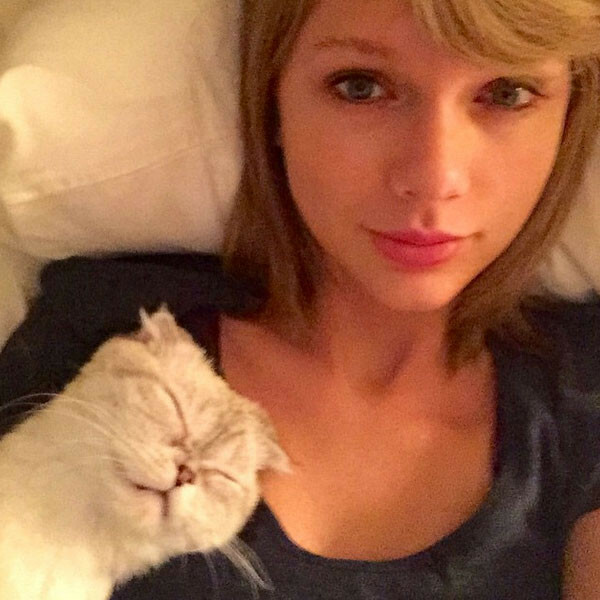 Taylor doesn’t mind showing-off her untarnished beauty on Instagram, either! The Bad Blood star is totally youthful-looking without all that slap on! If it isn’t red lipstick, then it’s purple lipstick. Rihanna has regularly experimented with her look so seeing her lay low on the makeup is quite a shocker for us. This blue-eyed stunner is blessed with natural beauty. Megan Fox doesn’t need eyeliner, blusher or concealer to take a selfie, she’s comfortable in her own unblemished skin! She’s still a teen, so wearing minimal makeup is best advised! Kylie Jenner may have touched up her lips but it’s safe to say the reality-star looks very different without her usual full face of makeup. Who’d have thought we’d ever see Lady Gaga with no makeup? Loud outfits, bright wigs and funky makeup aside, the Artpop superstar looks great when she’s stripped back! Jennifer Lopez looks like she hasn’t aged a day! The 45-year-old looks as fresh as a daisy without makeup. The mum-of-two’s skin is literally to die for! It’s a rarity to see Nicki Minaj not caked in makeup. The lipstick loving diva looks unrecognizable in this selfie, fresh out of the shower! Kendall Jenner needs no makeup to look stunning. The model-of-the-moment has natural beauty and a gorgeous complexion! Her adorable freckles should get more praise! This darling dainty diva looks ever so young without any makeup on. Ariana looks pretty even when she isn’t glammed up for the cameras. Needless to say, all these leading ladies look beautiful without makeup. In fact, the majority of them look better without their painted faces on. It’s actually the prettiest we’ve ever seen them. It would be lovely to see celebs looking more natural on a regular basis, wouldn’t you agree? Who do you think looks best without makeup?